Are you purchasing an iPhone and it’s the second-hand because you can’t afford for a new one? Have you heard warranty before purchasing any products? Ofcourse, you might have because all the products sold comes with warranty or guarantee for a specific period of time. All iPhones comes with one year of warranty. Are you looking to purchase used iPhone? Reconditioned phones are the best choice if you have very limited budget and you are going to purchase an iPhone from a user. But, you should remember that warranty comes at the first position. If you are really purchasing a used iPhone, then know its value in your life. So here is how you can check used iPhone warranty before cracking a deal. You need to know about the serial number of that particular device. This can be availed from the Apple’s website. 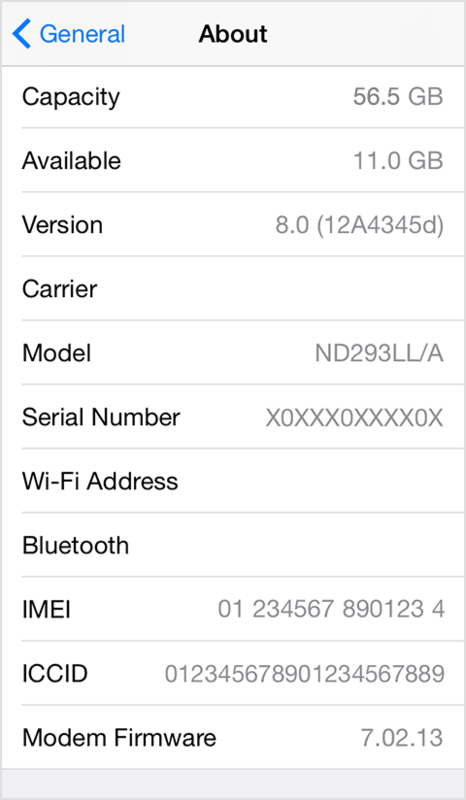 Then you need to follow the steps as Settings, after that general, after that tap on About, the viewer can easily get the hardware serial number and also IMEI number. If you go with the IMEI number, then you can easily get that what services can you get currently. It must be known by a purchaser that is it stolen or not. It can be easily known with the help of an IMEI number. If the person unlocks the iCloud lock in front of you, then get ensure about the device as not a stolen one. In case of online purchasing, you can contact with the earlier one or get the IMEI or its serial number. After the knowledge you can easily purchase a phone after knowing about its features and for your perfect price, you can hunt the various site for details. A lot of sites have price list of used iPhone from the home of Apple.